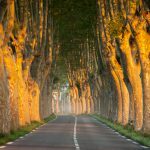 Wander through the grand hallways of these majestic chateaux and fairy-tale like properties dotted around the hills and valleys of the Aude in the south west of France. 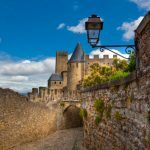 Never before has a place emanated such magical vibe as Carcassonne, the medieval gem of Languedoc Roussillon, and the second most visited spot in the whole of France, after the Eiffel tower…. It is popularly believed that the Cité de Carcassonne, a medieval fortress restored by architect Eugène Viollet-le-Duc in the south west of France, was one of the original inspirations for the castle of Sleeping Beauty and may have also had an influence on the design of the iconic Magic Kingdom that we see in all Disneyland Parks worldwide. Many stories mention that Walt Disney, the founder of Disneyland went on a visit in France and was truly enamored by the grandiosity and splendor of this iconic walled city, lording over the south west region of France, that he created his own castle resembling it, inviting all walks of life to enter and feel like royalty for a day. Today, the Magic Kingdom that Disney has built continues to inspire millions all over the world to dream – from children to adults alike. 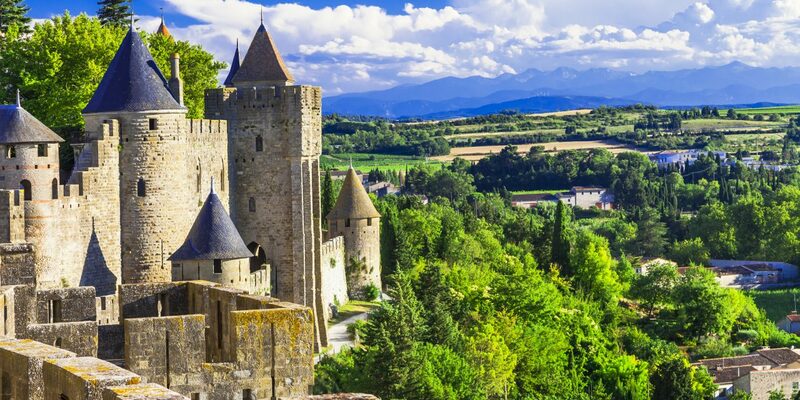 It is fair to say that the region around Carcassonne is a lot like a Disney dream, made up of forests, lakes and castles spread out on it’s many hills and valleys. 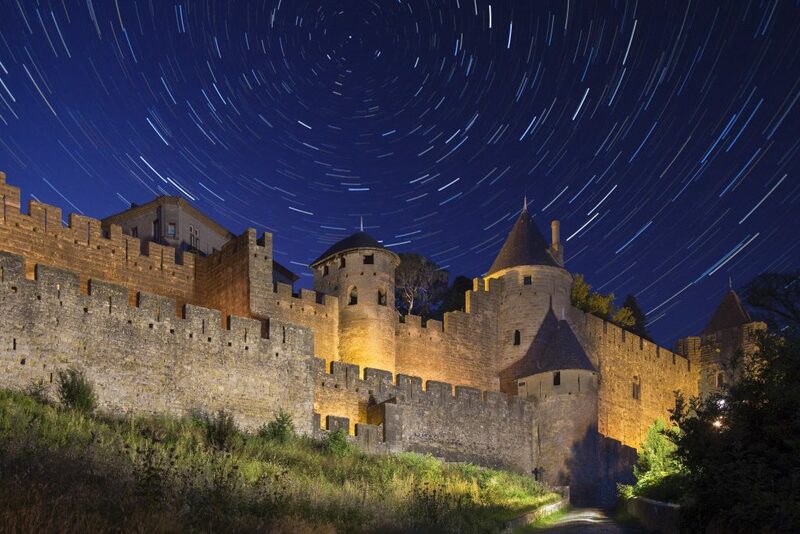 No wonder Carcassonne has been added to the UNESCO list of World Heritage Sites. 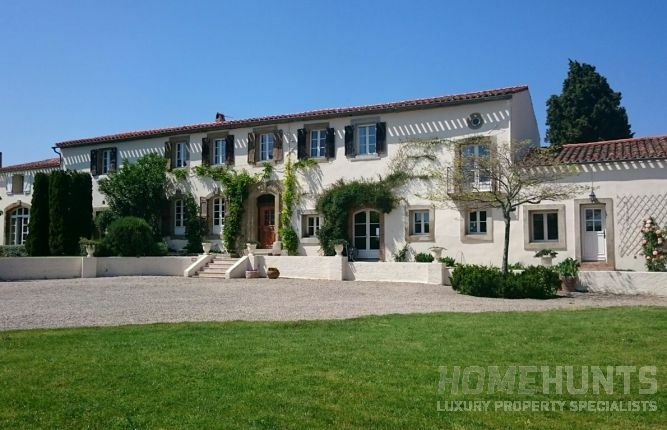 This 11-hectare property (HH-11389212) is found in a peaceful setting close to a charming village, not far from Carcassonne and its international airport. 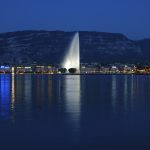 It is easily accessed, being just 10 minutes from motorway exits. Built in 2007, the house, the winery and four holiday cottages provide 900 m2 of total floor space. The buildings are in excellent condition and blend easily into the surrounding vineyards and moorland. The four holiday cottages contributed an impressive supplementary income to the property’s finances, bringing a turnover of 50,000 euros per year. The four cottages have been finished to a high standard and enjoy the use of the luxurious swimming pool with pool house and vast stone terrace. In a peaceful setting, the cottages offer beautiful views over the holm oaks and vines of the surrounding countryside. The winery is modern and highly functional. It is well insulated and equipped with crusher/de-stemmer, sorting table, pneumatic press, temperature control and around 30 French oak barrels for ageing. The buildings also include a storage room for bottled wines, a tasting room and shop overlooking the barrel ageing cellar. The property farms 10 hectares of vines, 3 hectares of which through a tenancy lease. The domain currently sells approximately 40,000 bottles per year for a turnover of 200,000 euros. The wines are mainly sold through the hotel / restaurant industry and partly on the export market. All of this come at an amazing price of € 1,329,000! Contact us for more information on this unique opportunity! 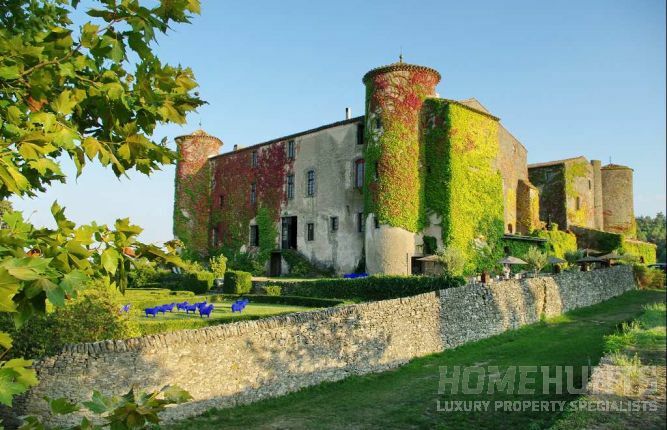 Reigning over its 64-hectare estate is this exceptional 15th century castle (HH-10904344) originally a 12th century fortified ‘mas’, with outbuildings, of about 2,000 m2 habitable surface. Situated just 25 minutes from the centre of Carcassonne, it comprises 14 character apartments, each with its own decor, private terraces, with a total 16 sitting rooms and kitchens, 28 bedrooms and 20 bathrooms! A potential luxury hotel in the making, it has a restaurant located in the vaulted hall with terrace. A remarkable spiral staircase can be found inside and as you continue to walk on to its interior courtyard, you will find a fountain and park with beautiful centennial trees. It includes a separate house with sitting room, kitchen, two bedrooms, two bathrooms and swimming pool. The former wine hall has been transformed into a Lounge where guests can easily relax while waiting to be served. The vast infinity pool offers a panoramic view and is not to be missed as it crowns the whole property. There is also a tennis court, pre-Roman chapel, Roman church, 17th century wash house and a 19th century hangar! Truly this property boasts all the criteria that people search for in an estate for events such as weddings, anniversaries, celebrations and many more. The total land of this estate comprises 64 hectares of land with park, fruit trees, olive trees and 54 hectares of fields. A beautiful authentic compound, full of charm and in very good general condition with a vast intact landscape, its price we can disclose upon demand. This beautiful property (HH-10523678) consists of a spacious main house, and a separate part for guests who would be delighted to stay here! The exteriors are perfectly established, with trees and flowers amidst the views of the surrounding countryside which is truly gorgeous. 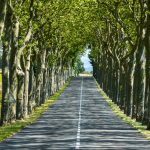 Shops are located less than 5 minutes away, and for some the proximity of the airport at Carcassonne, which is only 15 minutes away, will be a definite asset. The ensemble has 9 bedrooms, 4 shower rooms or bathrooms, 2 kitchens, various lounges, and a utility room. The pool area has a summer kitchen, very beautiful terraces, and a shower room. This farmhouse has been tastefully and sympathetically renovated, preserving its character with all the modern comforts needed to make life very enjoyable. Priced at € 895,000. 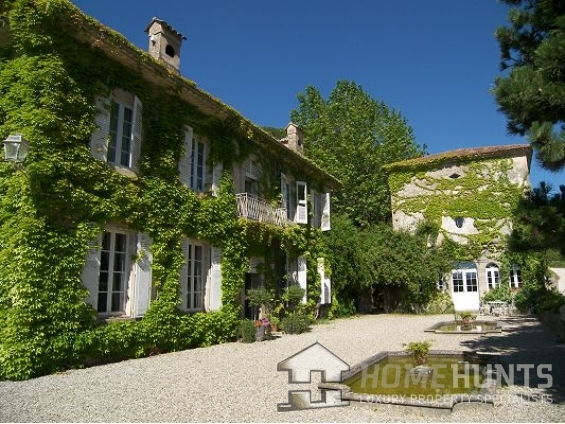 This quaint yet characterful 12-bedroomed property (HH-9448197) is nestled amongst the hills of the Montagne Noire forest, just 25 kilometers north of Carcassonne airport. 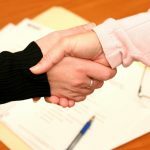 The owner is relocating and has priced this property or business investment realistically. It includes a genuine stunning French home with an established income, plenty of country appeal and a place to unwind, with a functioning windmill that will surely get everyone’s delightful attention! 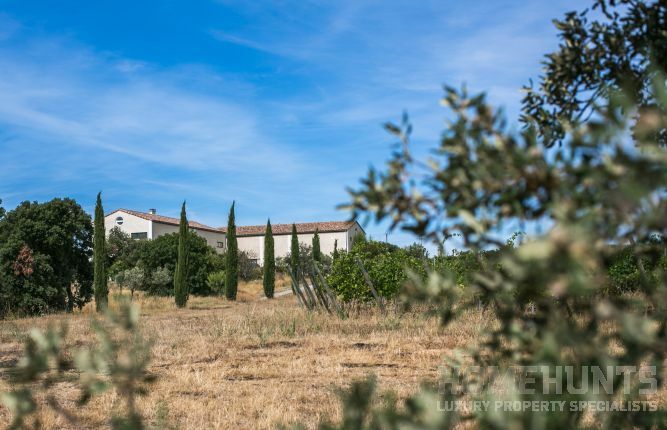 A rare opportunity which only a private inspection could validate, it is ideal for privacy and family living on one hectare of land, close to the historic city of Carcassonne. 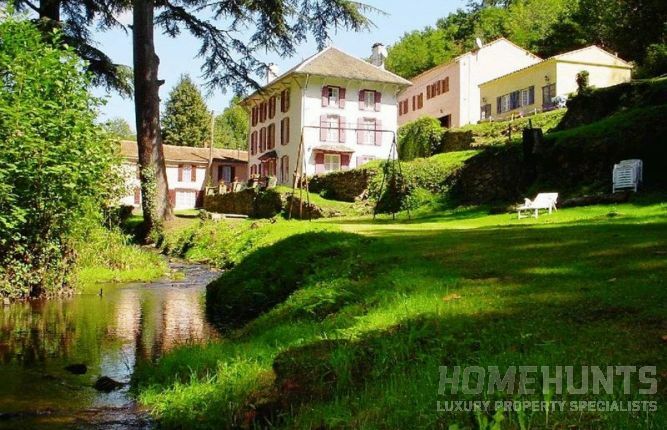 We see that this estate may soon be off the market soon as its price is one of the best deals we have seen, at € 795,000! 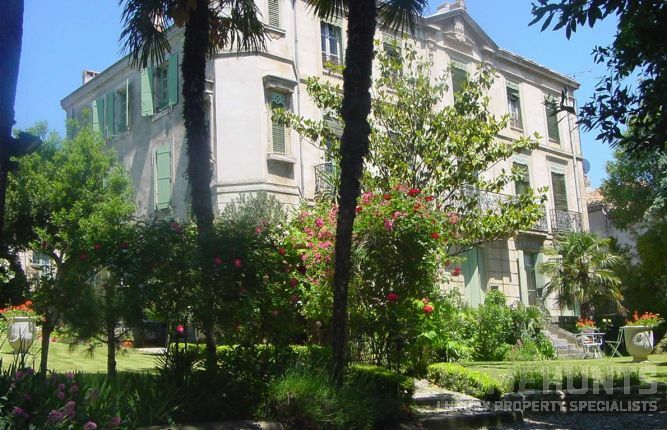 This is absolutely an exceptional property (HH-7688268), full of character and beautifully renovated with approximately 600 sqm of useable living space plus 1,000 m2 of park including a grand swimming pool. All the rooms have fireplaces and its floors are all wooded, tiled and mosaic, with central heating making daily living very comfortable all year round. The chateau has 12 bedrooms, 3 bathrooms, 3 lounges, dining room, and a large kitchen. The property boasts a pool house with summer kitchen, bedroom and bathroom. There is also a possibility to buy a main annex that can be renovated into 6 apartments of 400 sqm approximately and a barn of 200 sqm. 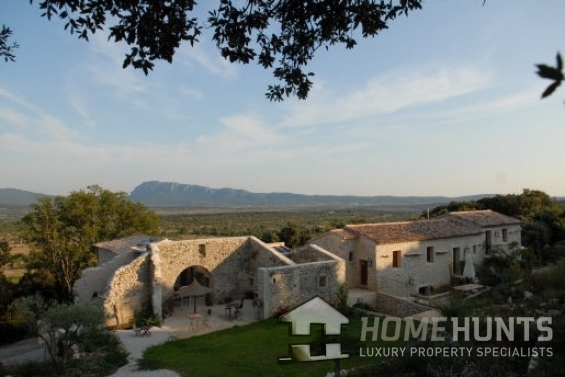 An ideal property for a B&B or luxury boutique hotel, it is priced at € 895,000. NextJoin the #HHPHOTOS Instagram Photo Challenge! 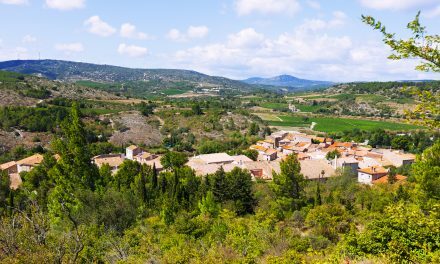 Why buy a property in the Minervois?